We’d love your help. Let us know what’s wrong with this preview of The Wielder Diaries by Ashley Scheller. At five, her presence alone could transform lions into human-like beings. At nine, she could manipulate everything inanimate, in turn, creating her surroundings to her liking. She is their Saqui, a precious child with awesome power. Now, if she could only remember. A 12-year-old girl awakens after a long sleep and, mysteriously, has no recollection of her past. Upon the insi At five, her presence alone could transform lions into human-like beings. At nine, she could manipulate everything inanimate, in turn, creating her surroundings to her liking. She is their Saqui, a precious child with awesome power. To ask other readers questions about The Wielder Diaries, please sign up. Ashley Scheller has always liked creating. Currently residing in Iowa with her family, if she isn’t sewing costumes inspired from medieval times or anime characters she is writing. Passionate about both hobbies, she loves to connect with fellow costumers and writers through social media. 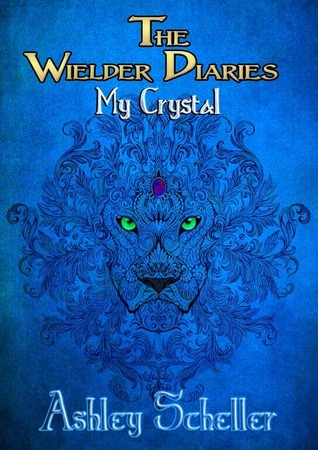 The Wielder Diaries: My Crystal is her first book and has planned an exciting series for the title.